A great venue, great experienced speaker, and an interesting exchange were the receipt for a successful event. After a first successful event last May, in which we could unite Mexicans in Zurich. Last November we hosted a second “Encuentro” with the participation of Mexicans living in the French speaking part of Switzerland. The event started with an Apero, in which we could get to know each other (companies and cities of origin). Maria Mülli (CEO LATAM BUSINESS NETWORK) shortly introduced the “Mexican Professionals in Switzerland” group and introduction the cultural differences between the Multi-active (Mexican) and linear culture (Swiss) identifying main cultural differences. 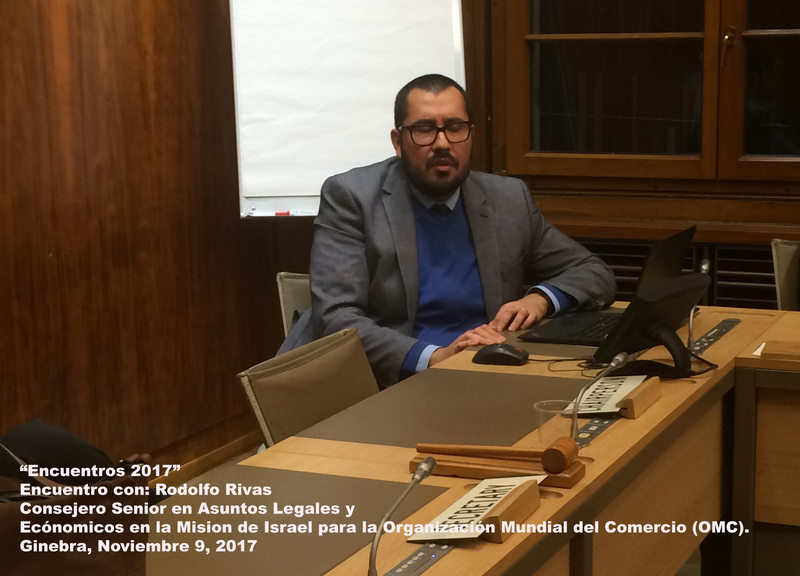 We continued with the presentation from Rodolfo Rivas, He is Mission of the State of Israel to the UN and the World Trade Organization. Rodolfo with more than 13 years of experience in private and public sector. Explained to us his experiences of working in Switzerland, pursuing Master studies in US and Spain, and living in Switzerland. 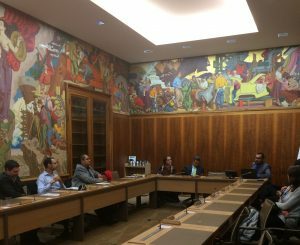 In the World Trade Organization in Geneva, we all felt like making important decisions inside a beautiful decorated meeting room. The historical building from the WTO known as The William Rappard Center, built in 1926, was the first building in Geneva conceived to house an international organization. 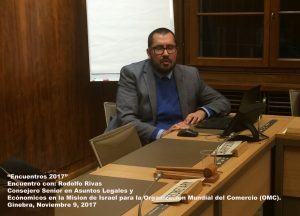 At different times over the past 90 years, it has been the headquarters of the International Labor Office, the UN High Commissioner for Refugees, the General Agreement on Tariffs and Trade (GATT) Secretariat and since 1995. Time flyed while having the opportunity to introduce each other, and exchanging our experiences of arriving and living in Switzerland. In this enriching ”Encuentro” which we could consolidate the new network, exchange business cards and build new friends. Take a look of the video. If you missed our “Encuentros” during 2017. Reserved the date for the New year’s Toast. Next January 25th, 2017.